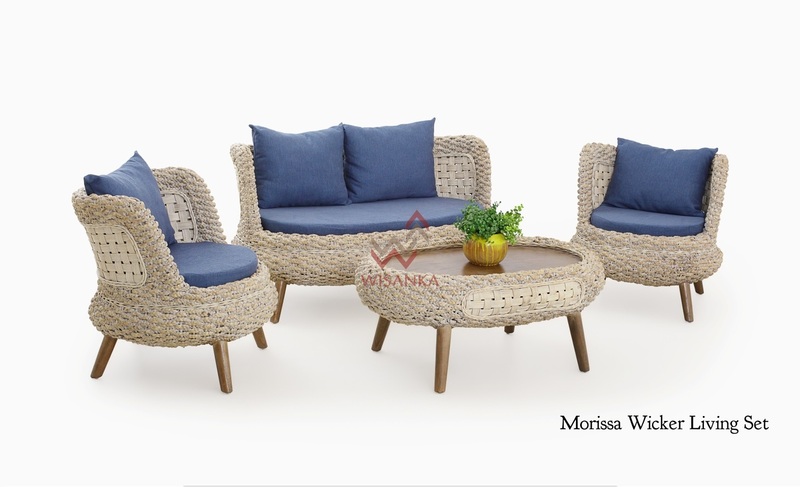 Comfy and stylish Morissa wicker living set is great for having guests or just gathering your family members. 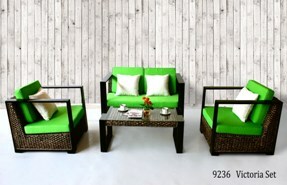 Four piece set will transform your living room into an ideal and comfort space. Rich color, quality cushion, attention to each detail adorned with natural rattan and water hyacinth. This rattan living set all create a sophisticated look of the armchair. These soft lines and classic look add a cozy ambience to your room. Traditional features make the loveseat so impeccably elegant. You will agree with us, that rattan furniture is perfect for all occasions. The Coffee table has a glass tabletop that provides an open, airy feel. All our furniture is made from natural fiber, ECO-friendly material, which comes to us from Indonesia. A combination of water hyacinth and natural rattan on wicker chairs, amazing round table and stylish love seat create a unique atmosphere.